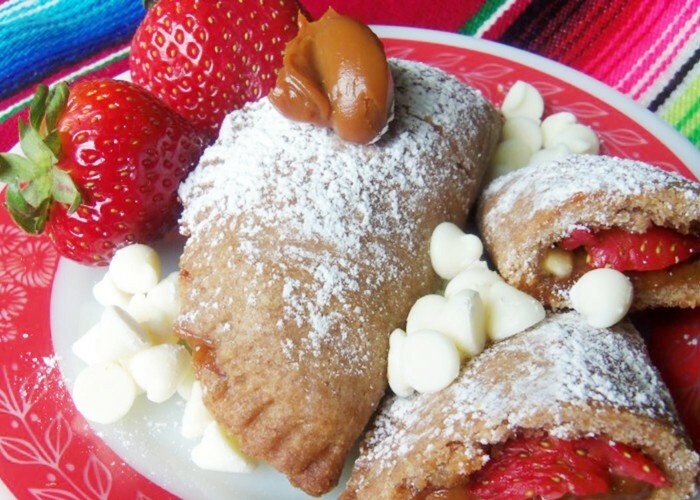 This sweet and decadent dessert empanada will wow your guests or loved ones... as long as there are some left for them to enjoy! In a large mug, combine the cinnamon stick, anise seeds and ½-cup of water. Heat in microwave for 3 minutes; remove from microwave and let steep. In a large glass bowl, add the shortening and cook in the microwave for 1 to 1½ minutes, just until the shortening is melted. Strain the tea and add it to the shortening, along with the salt, sugar, and baking powder. Stir gently. Gradually add in the whole-wheat flour until the dough forms. Cover and let set for 30 minutes. Preheat the oven to 375ºF. Line two cookie sheets with parchment paper or easy release foil paper and set aside. 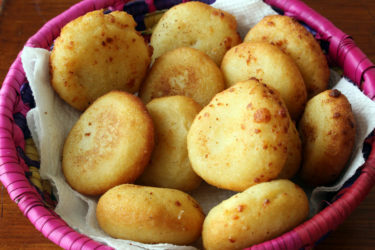 Divide the dough into 18 balls. Line a tortilla press with wax paper, so it covers the top and bottom. If you don't have a tortilla press, you can use a flat-bottomed plate. Press the dough balls, one at a time, and fill with 1 tablespoon strawberries, 1 tablespoon dulce de leche and about 6 to 7 white chocolate chips. Fold over and pinch the edges to seal or use a fork to press and seal the edges. Transfer the empanadas to the lined cookie sheets. Bake in the preheated oven for 25 to 28 minutes. Cool empanadas completely before dusting with powdered sugar. Store in an airtight container for 2 days. The empanadas will soften slightly after the first day. 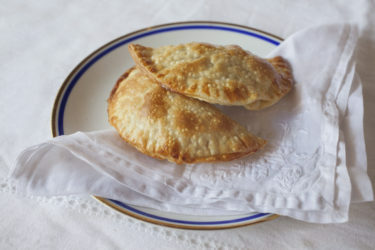 To spread the dulce de leche, use a quart-size freezer bag with the corner cut open, if you do not have a pastry bag; it's easier to squeeze it onto the empanada. 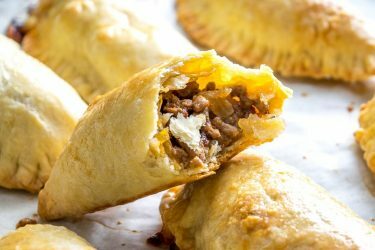 Empanadas can be frozen without the powdered sugar. Cool completely and store in a heavy freezer bag for up to 1 month. Reheat in preheated 375ºF oven for 15 to 20 minutes.